Aamir Khan is ready to bring another fascinating tale to the big screen with Secret Superstar. Though we saw the teaser that had everyone talking in 2016, we were treated to the highly anticipated trailer for the film when it was launched in Mumbai on Tuesday. Aamir Khan, co-producer Kiran Rao, Zaira Wasim (who plays Insiya), director Advait Chandan and Sujay Kutty of Zee Studios were in attendance at the launch. Speaking at the launch, Aamir said that Secret Superstar was his eighth production in almost 17 years and that demonstrated that he only backed projects in which he believed in. “We do not look at the commercial prospects of a film; it only has to appeal to me. But yes, we shape the budgets of our movies as per the scale on which they are likely to do business,” he said. 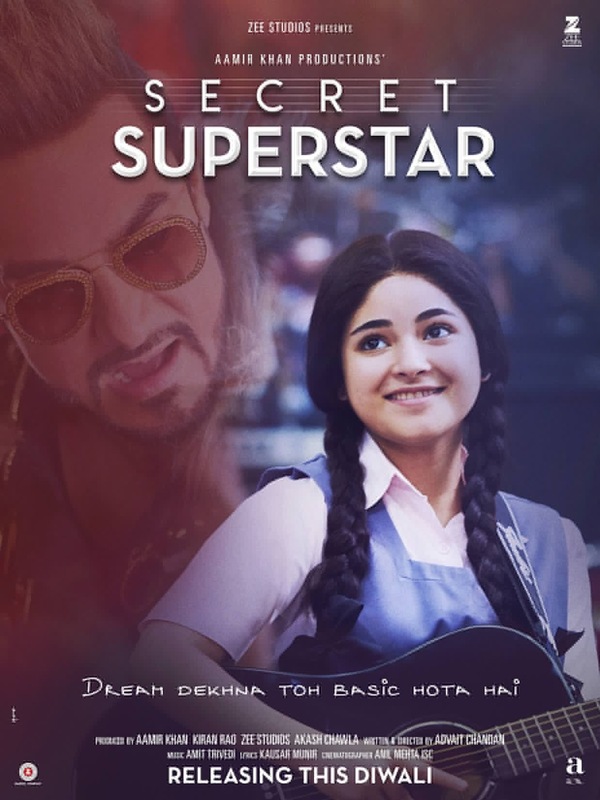 Produced by Aamir Khan, Kiran Rao, Zee Studios and Akash Chawla, Secret Superstar is written and directed by Advait Chandan with music by Amit Trivedi. The film is slated to release this Diwali worldwide. 15 queries in 0.550 seconds.